The newest attraction at Field of Screams, is Zombie Paintball. The biggest adventure has come to the smallest state. 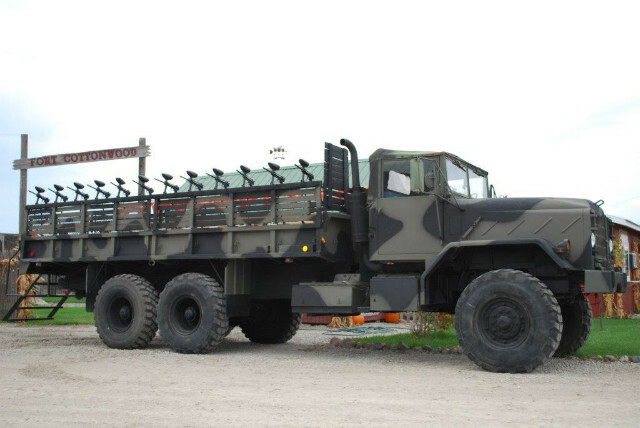 Board a 30 foot 5 ton military transport truck with individual, bolted down paintball guns. Each rider gets his/her own gun. The entire team must work together to shoot live zombies and other moving targets. Do not let them overrun your truck! A drill sergeant will instruct, insult, and encourage your team throughout the entire ride. Each person will receive 100+ paintballs to last them throughout the ride. 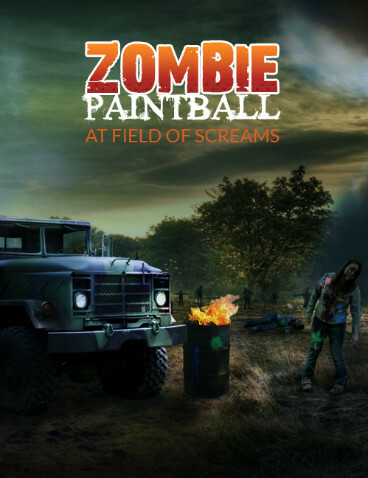 Paintballs are included in the ticket price. No personal balls or guns will be permitted on the ride. Purchase your tickets in advance to avoid the sell outs! The most interactive experience ever!!! Zombie Paint Ball. Crazy fun and a great idea!!! 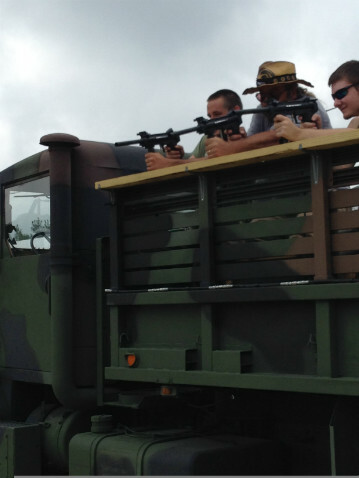 Shoot live Zombies from a 5 ton military Truck.